It’s a very comfortable and quiet place. The location is very close to the beach, supermarket and port. The manager was very friendly and ready to help and to advice! The appartment was clean and comfartable. It has a big balcony with an excellent view. 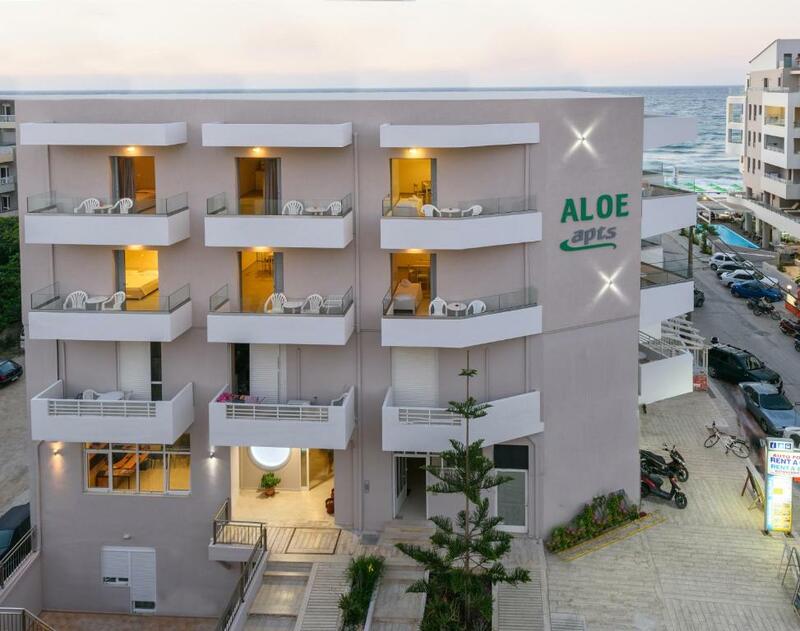 The manager of Aloe appartmentals Mr. Lefteris was very friendly and kind. First of all, kind and helpful customer service deserves grade 10+. 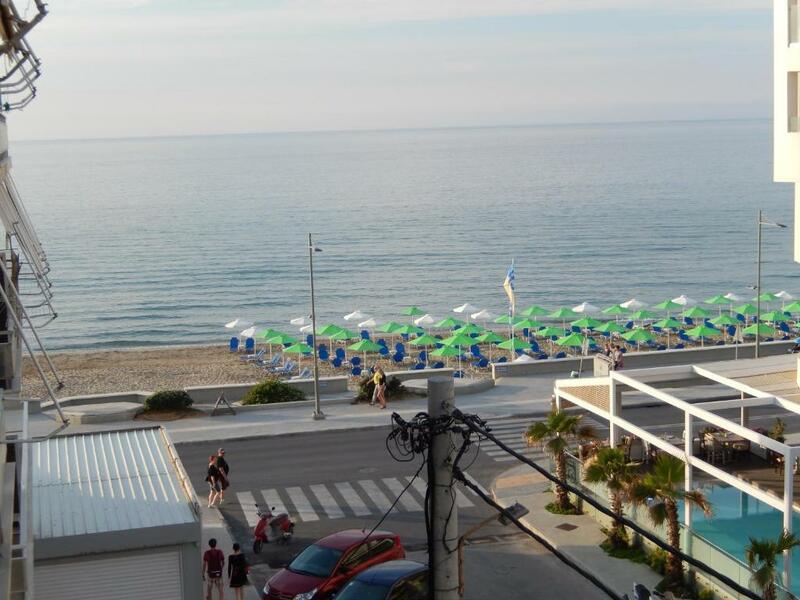 Location is great because everything is in walking distance (beach, old town, bus stops, bus station, restaurants, shops). As for the beach, you can easily choose if you want to go to the lively part of the beach with watersport possibilities or to the peaceful part. Both are just in a few minutes walking distance. Wi-Fi works well. Warm water available all the time. Great location, good value for money, great service from Letter is. Great staff- extremely helpful! Great location. Wifi was weak. Apt comfy and super clean!! Lefteris was great. Good communication and very efficient - nothing is a problem. We had a couple of minor issues with the room, which he did his best to sort immediately. The room was large, clean, very well equipped with a sea view. This has been one of my favourite hotels - brilliant value for money. 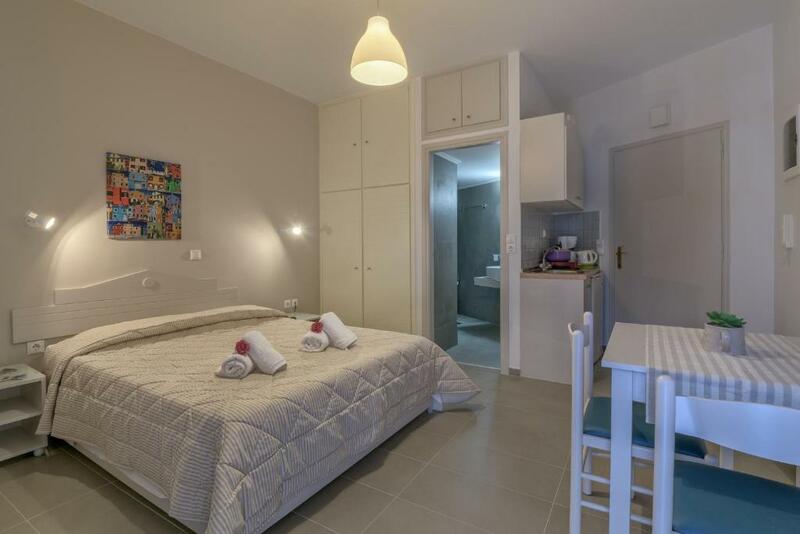 The standard of the rooms is more like a good hotel which charges 3-4 times the price for similar accommodation. The beach and restaurants are a 2 minute walk, and the old town is about 10-15 minutes on foot. Highly recommended! Great location, super proprietor who was extremely friendly and helpful. Good size apartments. Lock in a great price for Aloe Apartments – rated 9.2 by recent guests! 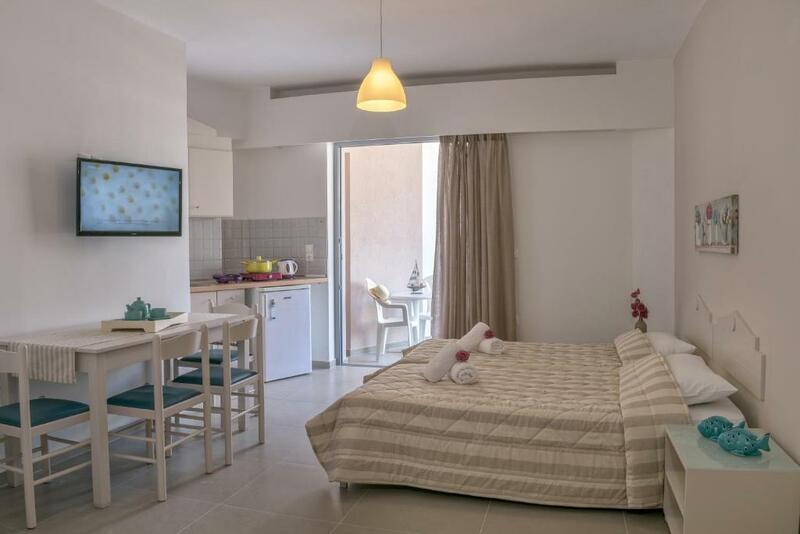 Aloe Apartments This rating is a reflection of how the property compares to the industry standard when it comes to price, facilities and services available. It's based on a self-evaluation by the property. Use this rating to help choose your stay! 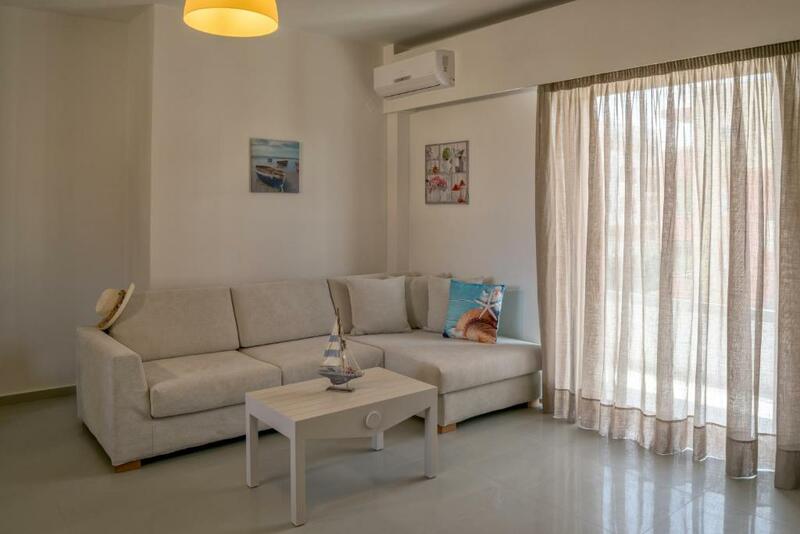 One of our top picks in Rethymno.Aloe Apartments are located only 100 feet from the sandy beach, as well as very close to the old town of Rethymnon. The complex offers fully equipped studios and free wireless internet. 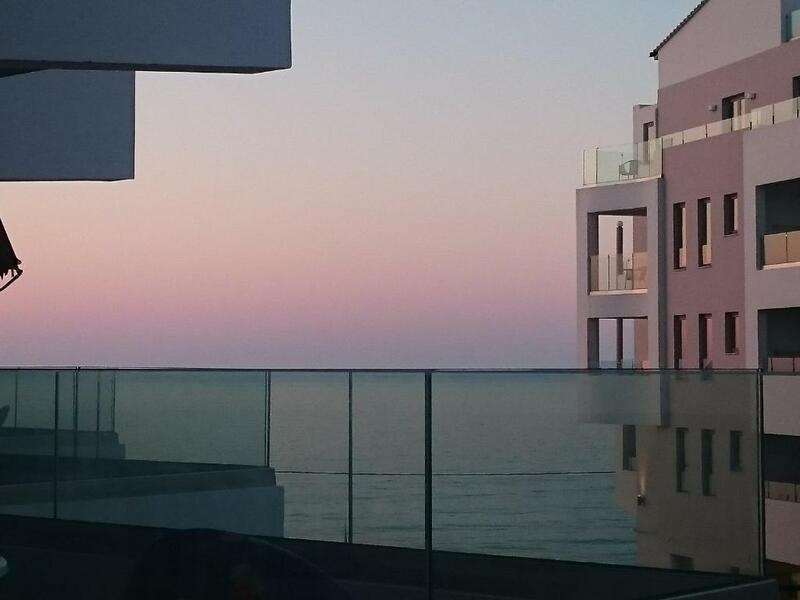 The modern complex offers 14 spacious and airy studios and apartments most with large balcony with views of the sea. 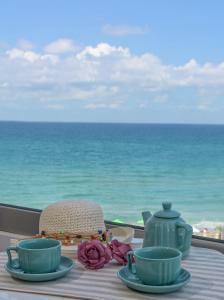 Each is beautifully appointed and has a fully equipped kitchenette. Continental breakfast is served at a neighboring property, just 150 feet away. 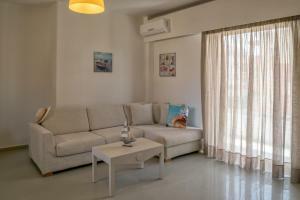 Aloe Apartments’ location right at the heart of Crete, serves as a great base to discover the unique island. The friendly staff can arrange diving excursions, as well as car and bicycle rentals. 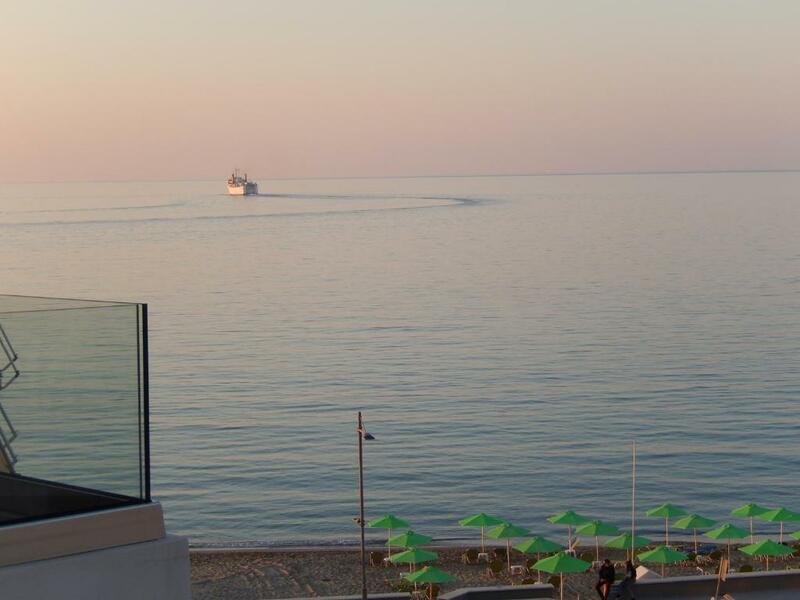 뀐 Located in the top-rated area in Rethymno, this property has an excellent location score of 9.4! When would you like to stay at Aloe Apartments? Apartment with separate living room and full kitchen. Spacious 2-bedroom apartment with a seating room/kitchen area with 2 more beds. Offers a big balcony with garden views, air conditioning throughout and fully equipped kitchen. House Rules Aloe Apartments takes special requests – add in the next step! Aloe Apartments accepts these cards and reserves the right to temporarily hold an amount prior to arrival. Please inform Aloe Apartments of your expected arrival time in advance. You can use the Special Requests box when booking, or contact the property directly using the contact details in your confirmation. Bed was a bit too soft to me, but quote everything was perfekt. Shower was missing a door and it was a little on the small side! The lock in the bathroom door was also a little dodgy!! Relatevly fresh renovation, modern style, very helpful staff, excellent location. Recommend! Everything was a perfect value for the price!